This product is not sanctioned or manufactured by Epson and users must be aware that the use of third party inks and CISS systems can void your printer warranty. PLEASE NOTE THESE ARE NOT Epson PRODUCTS AND NOT Epson BRANDED INK. THE TRADE NAMES REMAIN THE PROPERTY OF THE INDIVIDUAL COMPANIES AND "Epson" IS USED S SOLEY AS A MEANS OF CLARIFICATION. How much will I save by using a CISS? Your savings depends on how much you print. The more you print the more you will be saving! 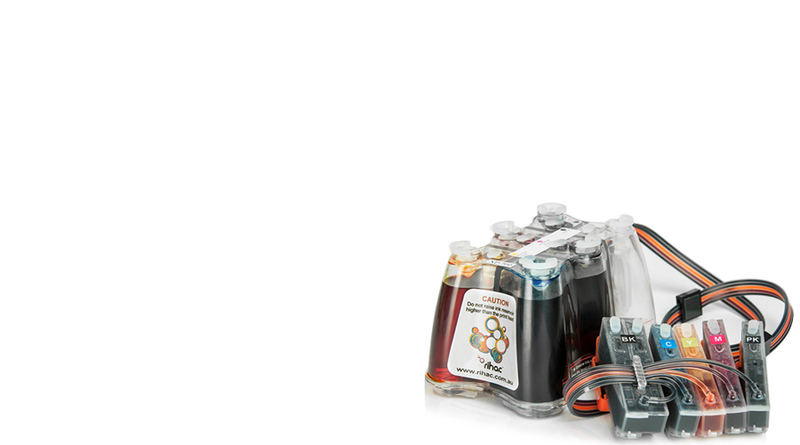 (retail price $19.99) and 4.5mls of ink in the colour carts (retail price $19.99). Save over 97% everytime you refill!